Choose your first position then choose embroidery or print when supplying your own design then upload your artwork. 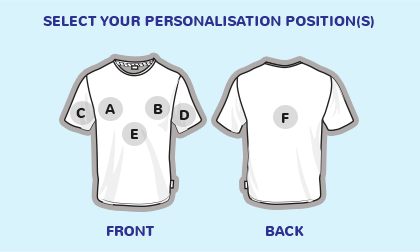 You can choose more than one position and type of personalisation on a garment. If you require a different position than illustrated please advise in Special Notes. Free digitising on larger quantities – please contact us in advance. Images above for illustration only. 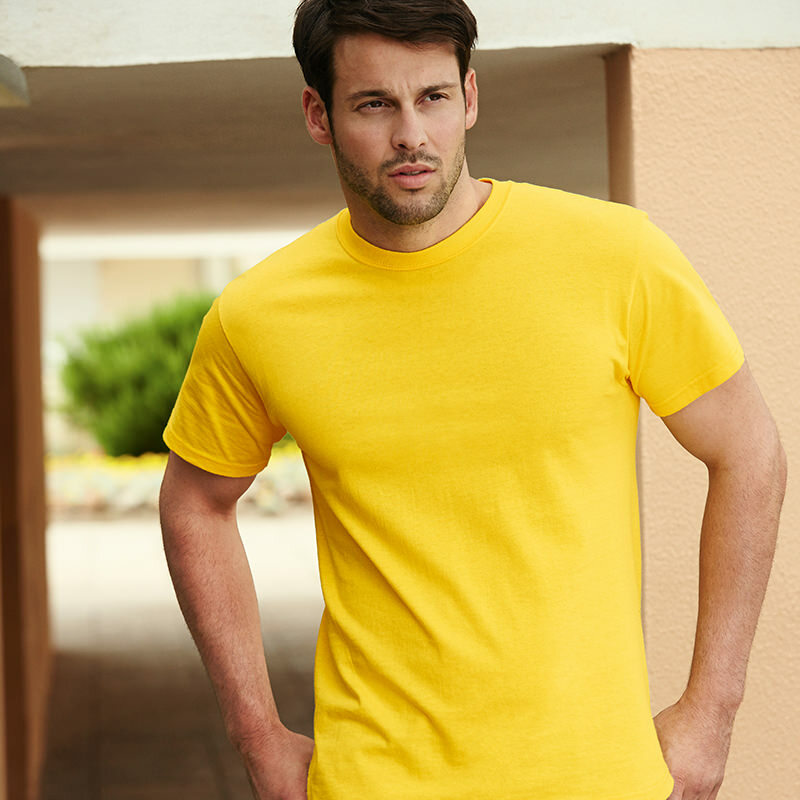 Produced using Belcoro yarn for a softer feel and cleaner printing process. Rib crew neck with taping for comfort. Twin needle stitching detail on sleeves and hem. Chest (to fit) S - 35/37", M - 38/40", L - 41/43", XL - 44/46", 2XL - 47/49", 3XL - 50/52"